Quinton Anderson Reynolds Bio, Grandparents, Age, Where is He Now? Home Celebrities Quinton Anderson Reynolds Bio, Grandparents, Age, Where is He Now? While Hollywood has produced great actors and entertainers, it has equally lost some of its legends including Burt Reynolds. The superstar passed away after a long battle with heart problems and his death is recorded as a big loss to the entertainment industry. He died in September 2018 at the age of 82 and his demise has left many people, including his ex-wife Loni Anderson and his only son Quinton Anderson Reynolds, heartbroken. Although Quinton has kept a low profile for a long time, he garnered worldwide attention following the execution of his father’s will. In the wake of the foregoing, we have taken a time out to gather interesting facts about Quinton Anderson Reynolds. Read more about his bio, age, and other interesting facts below. Quinton Anderson Reynolds came into this world on the 31st day of August 1988. He was born in the United States; soon after his birth, he was adopted by Burt Reynolds and his then-wife Loni Anderson. Quinton holds American nationality and belongs to the mixed ethnic background. He spent his early years in Florida and later on, he relocated to California with his mother after her divorce from Burt in 1993. Meanwhile, his mother, Loni Anderson was previously married twice before her marriage to Burt. Quinton has a half-sister named Deidra Hoffman. Deidre was the product of Loni’s marriage to Bruce Hasselberg from 1964 to 1966. Growing up, Quinton Anderson Reynolds experienced lots of difficulties and his parent’s divorce affected him so much. While in California, the youngster shared his time between his parents and often visits his dad. He is well-educated; however, he has not shared any information regarding his educational background. The much we could gather is that he pursued a career in media and has established himself as a camera assistant. While his parents were dominating the TV screens, Quinton decided to find a place behind the scenes. He has worked extensively on the production of several movies and TV series. Some of his notable works could be seen in the documentary series 100 Degrees Below Zero, as well as Ouija: Origin of Evil, and Mercenaries, etc. Although he is yet to fit into the big shoe of his parents, Quinton Anderson Reynolds is sure doing his best at this time and his parents are very proud of the man he has become. Quinton Anderson Reynolds came from a lineage of successful celebrities; his paternal grandparents are Burton Milo Reynolds Sr. and his wife Harriet Fernette. In addition, his maternal grandparents are Maxine Hazel and Klaydon Anderson. Burton Reynolds Sr. was a World War II veteran and he also worked as a police chief. He was born in 1906 and died in 2002 at the age of 95 while his wife Harriet Fernette died in 1996 at the age of 90. Quinton’s maternal grandparent, Maxine Hazel was a supermodel while her husband was an environmental chemist. Maxine was born in 1924 and she passed on in 1985 while her husband Klaydon Anderson was born in 1922 and he died in 1977. Where is Quinton Anderson Reynolds Now? Since his parent’s separation in 1993, Quinton Anderson Reynolds went to live with his mother in California. Unfortunately, the young lad is not much of a spotlight fan and has shielded his personal life from the prying eyes of the media for a long time. That notwithstanding, we know that while he has established himself as a camera assistant, Anderson has carved a niche for himself in the Hollywood industry. He has been working behind the scenes in the production of several movies. After his father, Burt passed on in September 2018, Quinton yet again, surfaced in the limelight following his omission in his father’s will. However, it was stated that his father had left a trust for him. Meanwhile, Burton also admitted that Quinton was his highest achievement in his life and that he is so proud of him. He was trained to be independent and didn’t have to live on his parent’s glory. 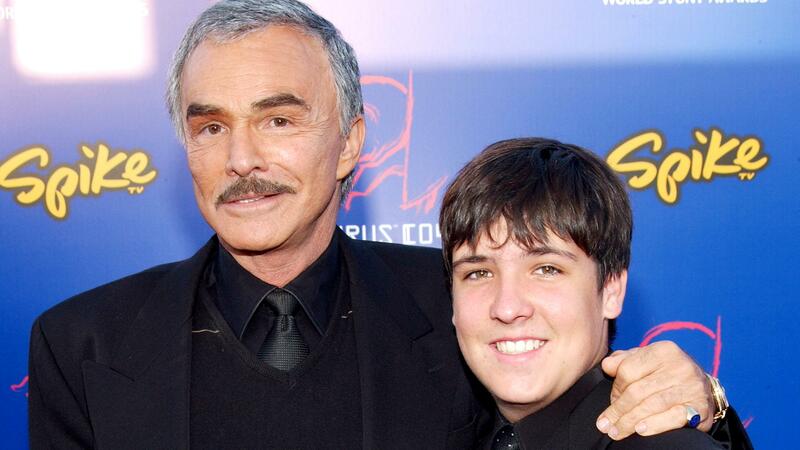 After the death of Burt, Quinton and his mother Loni issued a statement, saying that Burt will be greatly missed.